NaTashua Davis holds a master’s degree in Student Affairs from Kansas State University and a PhD in Educational Leadership and Policy Analysis with an emphasis in higher education policy from MU. Davis has been at the university since February 2002. 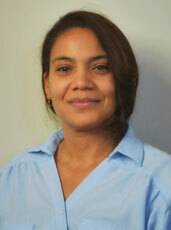 NaTashua Davis serves as the Executive Director of Access and Leadership Development. Within this role she is responsible for developing and implementing programs and initiatives that will support students throughout the entire academic pipeline. Additionally, Dr. Davis directs the McNair Scholars Program, a federally funded project designed to prepare talented undergraduate students from groups underrepresented in graduate education for doctoral study. Prior to coming to Mizzou in 2002, Davis was at Kansas State University, where she oversaw the Upward Bound Math and Science Program, a college access initiative that encourages high school students from first generation and/or economically disadvantaged backgrounds to pursue postsecondary degrees in areas of math and science.